The house building process can take a long time, but the pressing need for new homes across the UK is making the thought of fast-track projects more and more appealing. 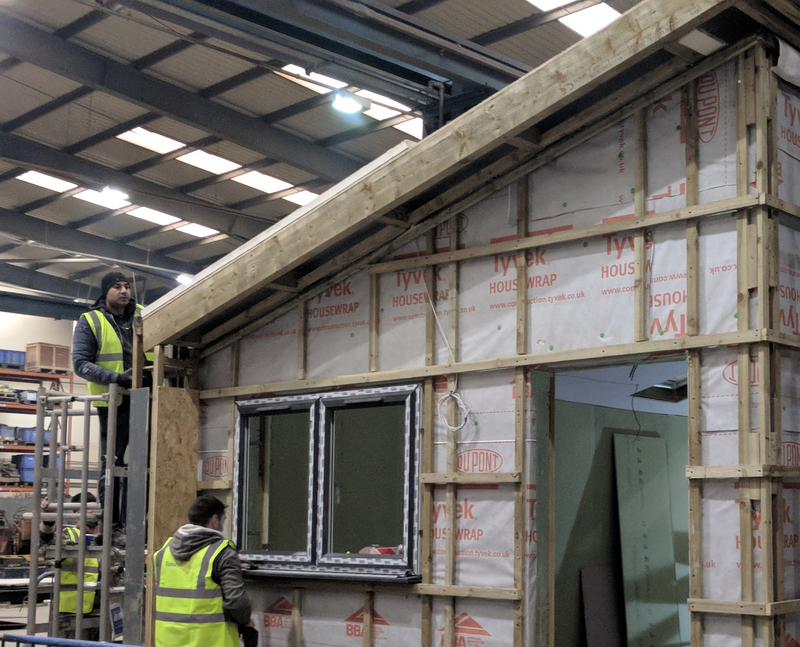 Brian Maunder, Sales Manager at Totally Modular, explains how his company has taken the concept of volumetric modular construction to the ultimate level and can factory-build houses much faster than traditional construction methods. If your sole exposure to house building was watching Channel 4’s Grand Designs, you would probably conclude that it takes at least a year to build one house and often far longer. On top of this there is likely to be a huge amount of heartache, runaway budgets and an endless string of difficult decisions to be made. Developers building housing estates on the other hand do complete individual house structures in a matter of weeks, however the fit-out and decoration can take just as long. At Totally Modular we build residential housing solutions, constructed using high-integrity modules, engineered and built under cover in our own factory facilities. The processes we use are managed as a production line manufacturing operation, with materials and components ready and available as required. This means we don’t suffer from bad weather delays, while we benefit from minimal wastage and reliable scheduling. This allows work to proceed on a defined timescale so that skilled people are employed very efficiently, costs are contained and time to completion can be compressed. We can add fully fitted-out kitchens and bathrooms, furnish other rooms, fit exterior lighting etc. This is in marked contrast to on-site building with all the inherent problems of weather dependency, delivery schedules, site coordination and managing subcontract work etc. Significantly, Totally Modular units are based on a strong three-dimensional steel main frame. This is based on hot-rolled structural steel, with light gauge steel or other materials used for panelling as appropriate. The strong frame used for the modules not only ensures the finished building’s integrity is very high, it allows each module to be moved to site very easily when it’s finished, with just small tasks to be completed when it arrives on site. The range of external finishes available includes brick, render or cladding and is completed in the factory, which ensures very high standards of finish. Windows and doors are also installed as part of the in-factory process, so are guaranteed to be fitted perfectly and compliant with energy efficiency standards, etc. In fact, 97% of the building process is finished in the factory to a strict production schedule and defined quality standards. This ensures that program timing, quality and performance expectations are met. We offer a range of building styles, both standard and bespoke so that we can match local aesthetics. These are all created using modules developed by our in-house architectural and construction designers. Further, the modules can be arranged in a number of layouts to create houses of different sizes and formats, including detached, semi-detached and terraced. We can even stack the modules to create blocks of flats and maisonettes. 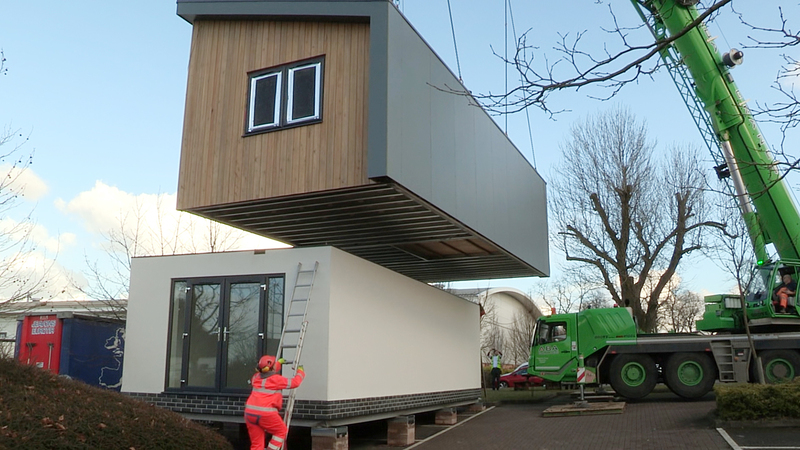 For housing providers such as housing associations, charities and local council authorities, there are several big advantages to Totally Modular’s volumetric building method. The most obvious one is that we can take a complete house from build to handover in as little as four days. Site preparation is reduced when compared to traditional construction methods, involving only foundation pads and provision for services such as water, waste, power and gas. Totally Modular units are transported to site on a standard articulated lorry and craned onto the foundations in a one-lift operation. Once the module, or modules are in place the utilities are connected-up and the house is ready to welcome its occupants. Because the units are built under controlled conditions, workmanship is of the highest standard, meaning the need for inspection is minimised and snagging lists are all but gone. The quality of the fittings and furniture is specified at the design stage and, as they are ordered in volume procurement can be managed for best price and just in time delivery. As such, Totally Modular’s volumetric construction methods are proving to be a powerful tool in the rapid provision of high-quality housing to all sectors of society. Photo 1: At Totally Modular we build residential housing solutions, constructed using high-integrity modules, engineered and built under cover in our own factory facilities. Photo 2: Totally Modular units are transported to site on a standard articulated lorry and craned onto the foundations in a one-lift operation. Totally Modular is a leading manufacturer of steel frame, modular homes for social and affordable housing. As a turnkey provider, Totally Modular designs, manufactures and installs homes that are 97% complete when they arrive on site; including pre-installed kitchens, bathrooms and finishes. Ground works, services and landscaping can also be incorporated as part of any housing solution. With the inherent scope and manufacturing capacity to provide multiple housing structures to fully accredited standards with maximum convenience, Totally Modular offers a comprehensive solution to tackle the housing challenges of the future.